Embossing gives catalogs an elegant look and an alluring texture that readers can't wait to get their hands on. Embossing is a more sophisticated version of the technology used to create raised seals on official documents. Embossing creates a raised image on a catalog by pressing paper between two metal dies - a male die that presses up and a female one that presses down. Embossing also leaves an indented image on the reverse side, known as "debossing." Company names and logos are natural choices for embossing, but you can also use embossing to raise the profile of images, giving them a 3D effect. Or combine it with foil stamping to make text and graphics really stand out. Remember that embossing leaves both a raised image on the front of a page and an indented one on the back. For best results, keep the debossed area free of text or images. The thickness of paper stock will determine how your embossing looks. Thicker paper may produce a deeper image, while thinner paper may create a shallower, more detailed one. Our designers can advise you on choosing the right paper for the effect you want. When deciding how many pages to include in your catalog, think in multiples of four. The catalog printing and assembly process produces four pages for each sheet of stock - two on the front and two on the back. As online retailers vie for attention, catalogs are making a comeback. Many retailers are finding that catalog mailings help spur sales - both through the catalog and online. Catalogs can reach customers who don't use the internet. Catalogs are a good way to remind web shoppers of your brand and present special offers and discounts. Catalogs can be valuable resources that are read and re-read. 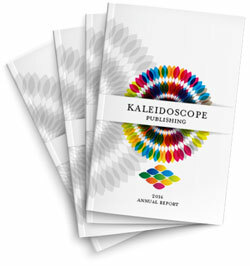 Send a comprehensive annual catalog, or make your catalog feel like a magazine with enticing photo spreads and feature-length articles about your company, your processes, and the causes you care about. Use catalogs to help track sales trends. Send different versions of your catalog to different customer segments and include codes that allow you to monitor the effectiveness of each catalog style and special offer you send. People like to interact physically with products and promotional materials. That's one of the big advantages catalogs have over websites. Embossing gives people an additional reason to touch and read your catalog. They'll enjoy the sensation of running their fingers over the raised surface. And those good feelings can translate to more sales. Use embossing on your catalog's cover to create gorgeous effects that readers can't help but notice. Emboss the snowflakes on your holiday catalog, the silhouette of wedding rings on your jewelry catalog or the cable knit sweater on your women's clothing catalog. Combine embossing with other effects to create a catalog that feels different that anyone else's. Make a luxurious statement by combining embossing with foil stamping. Or invite more interaction by using embossing with creative die cuts. 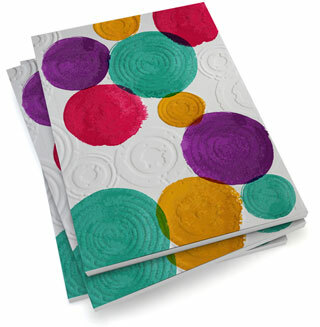 Embossing's rich texture makes a catalog instantly feel different in the mailbox or on the trade show floor. 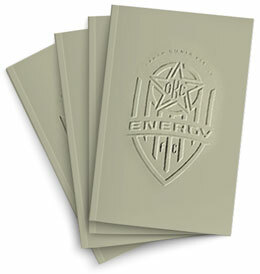 Our designers can help you create an embossed catalog that people will want to pick up and examine again and again. Have questions about using embossing on catalogs?